It’s so easy to focus on what we do NOT have. We tend to think we’ll be happy once we achieve a certain goal or get to a certain place in our lives. I’ll be happy when… I get that job, when I’m making this much money, when I get married, when I lose weight, when I have that car or that house, when I… (fill in the blank). If we focus on what we lack, it creates a mindset of scarcity and we will never have enough. We’ll never be happy. Being stuck in a place of “not enough” only breeds more of the same. It’s the idea that whatever we focus on (good or bad) grows. It’s okay to want more, but it’s important to be thankful for what we already have. Happiness is found in the present moment. Gratitude produces a high vibration and being grateful helps us to resonate on a higher frequency. And if we vibrate on a higher frequency, we will attract more positive things and experiences. So, when I feel frustrated, I try to think of positive things. When I’m feeling down or stuck, I try to remember to be thankful for my blessings. Being appreciative of what I already have, not only leads to more things to be grateful for, it makes me happier. 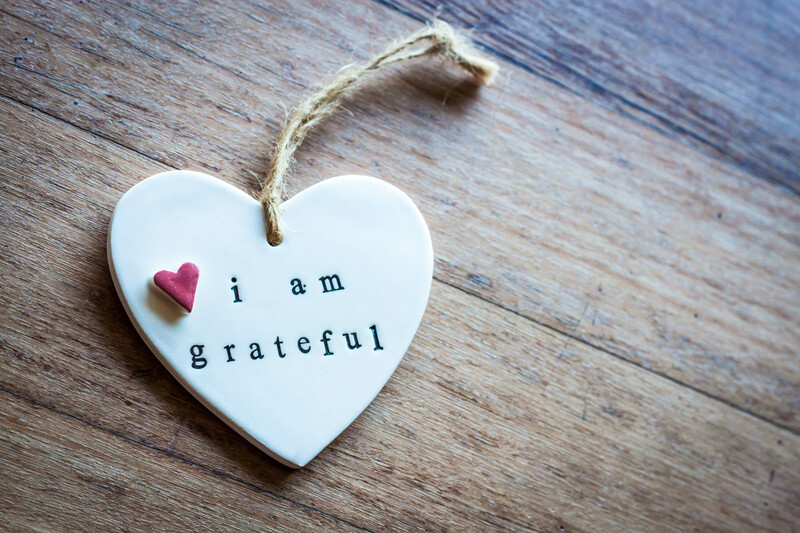 In 2015, I created a gratitude jar. I used a blue mason jar that I bought at a home goods store for a couple of bucks. That year, when something positive happened, I made it a point to write it down on a slip of paper and put it in the jar. It could be big (e.g. the successful completion of a project or the birth of my niece) or small (e.g. receiving a compliment or unexpectedly getting something for free). It also got me to reflect and realize the positive things in my life (e.g. supportive friends). By the end of the year, I would have a jar full of things I was grateful for, and it served as a reminder whenever I needed one. The following year, I started a gratitude journal, where I would list 5 things that I was appreciative of. Though I started off strong, writing in my gratitude journal almost every week, I didn’t maintain the momentum. Over time, the gaps between entries grew larger and larger until I stopped writing in it altogether. So, this year, I’ve gone back to the gratitude jar. I purchased a new glass jar which sits on top of my night stand. I placed small pieces of paper and a pen inside. This helps me remember to write down the things I’m grateful for (big and small). And, being thankful makes me happier.